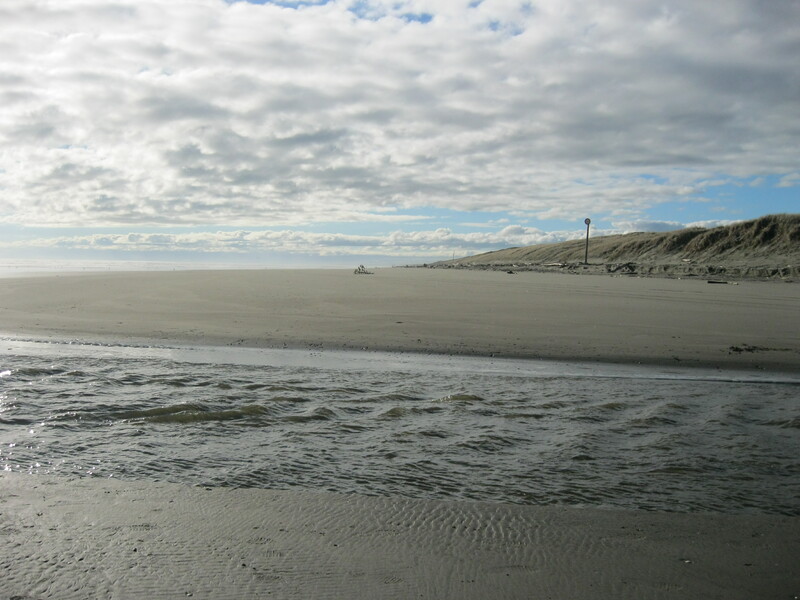 I’m house sitting at long, lonely lovely Himatangi Beach in the North Island of New Zealand. It is even used as a road the sand is so firm and the beach is so straight. 30 kph is the speed limit. just don’t get into a soft patch when you take the dogs for a walk there. http://manawatunz.co.nz/Welcome-to-Palmerston-North-City-and-Manawatu/manawatu/menu-id-126.html is the largest city in the Manawatu region near the beach. I am writing a Young Adult book and have set it in Palmy as it’s affectionately called by the locals. It involves time travel. I’ve set the story in 2014 and 1941. As I’m not a local, it’s taking quite a lot of research to get the backgrounds of both times accurate. Yesterday I reached the half way point – 30,000 words. I try to write 2000 words a day. Victor was offered to the animal refuge here nine years ago and has never left. He loves his nose to be rubbed and a little tasty grass. See his little buds of antlers? 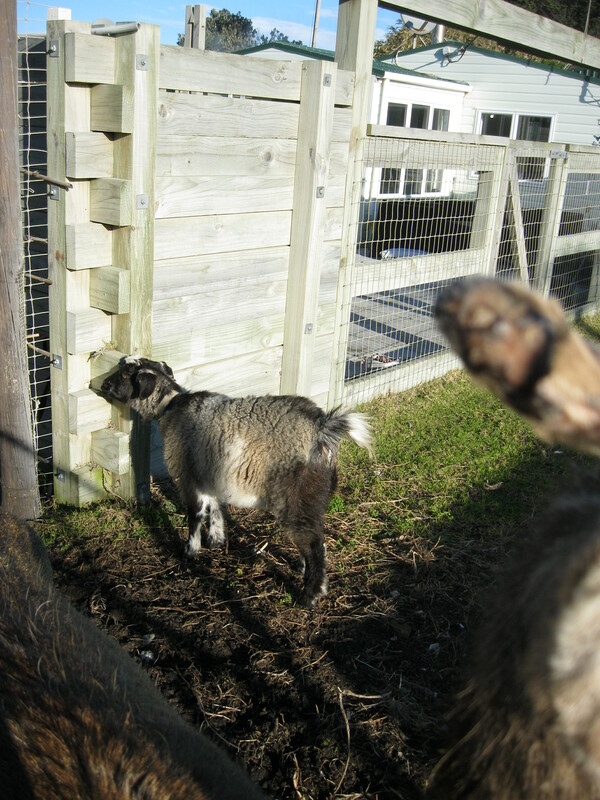 Masport the goat, named after a well-known brand of lawn mower here in NZ is Victor’s mate but is shyer. 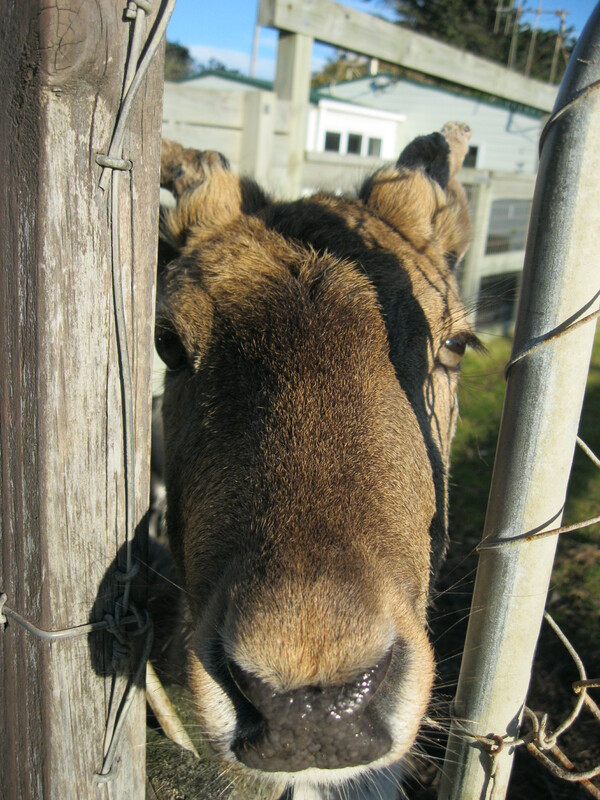 Since I took this photo he’s allowed me to rub his nose and gets the grass offering before Victor! Good to see you back on track with your blog! Great to catch up with you again Kinsa, good luck with your novel. Is this your own urge / choice or is it part of a course?